Andrew Hanson is a real estate transactional and general business attorney and a partner in Sherry Meyerhoff Hanson & Crance LLP. He joined the firm in 1998, and his practice focuses on acquisitions, dispositions, financing, leasing, construction, development and limited liability, partnership and joint venture structuring. Andrew has extensive experience in the representation of institutional owners, tenants and lenders of hospitality, commercial, office, retail and industrial properties, in connection with the acquisition, development, leasing, financing and disposition of a wide variety of real estate assets. Andrew’s development experience includes the preparation and negotiation of engineering and architect agreements, construction contracts, development agreements, franchise agreements, management agreements, reciprocal easement agreements, CC&Rs and other real estate and hospitality related contracts. 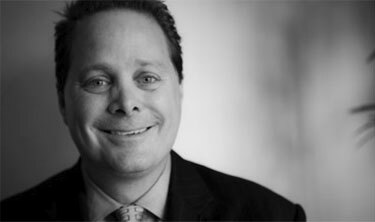 Andrew formerly practiced in the Costa Mesa Office of Paul, Hastings, Janofsky & Walker LLP. Represented foreign client in the acquisition of 7 full-service luxury hotels located in 6 different states. Representation included real estate and hotel due diligence, negotiating management and franchise agreements with national hotel brands, management agreements with national hotel management companies, the assumption of two existing loans and the terms of a new CMBS loan with national lenders and assisting in obtaining replacement liquor licenses. Represented client in the acquisition of the leasehold interest in the Queen Mary in Long Beach, California, including acquisition and take-out financing, negotiation of a new long-term lease for the Queen Mary, negotiation and restructuring of the long-term lease with Carnival Corporation for its Long Beach Terminal operations and parking garage and the development of surrounding land. Represented publicly traded REIT in connection with the development of medical office buildings, including the development of a 9 story, 250,000 square foot medical office building located in San Francisco, California. Represented public and private companies operating post-secondary education schools in connection with the opening of more than 75 new school campuses in locations throughout the country. Representation included negotiating office leases, retail leases, industrial leases and build-to-suit leases ranging in square footage from 30,000 square feet to in excess of 200,000 square feet. Real estate counsel to Wells Fargo Bank in connection with more than 150 transactions involving office leases, branch leases, build-to-suit and reverse build-to-suit leases, ground leases, subleases, lease terminations and acquisitions and dispositions of land and improvements. Represented client in the acquisition of 3 full-service Marriott Hotels located in 3 different states. Representation included acquisition of 2 fee simple interests and 1 sub-ground lease interest, real estate and hotel due diligence, negotiation of the terms of a CMBS loan with a national lender, including necessary ground lease modifications, negotiation of new franchise and management agreements and assistance in obtaining new liquor licenses. Real estate counsel to Arnel Commercial Properties in connection with its office and retail leasing and dispositions of real estate assets. Represented client in the acquisition of the Pasadena Sheraton Hotel, including acquisition of air space lease and later acquisition of air space rights, real estate and hotel due diligence, negotiating management agreement with national hotel management company, franchise agreement with national hotel brand, the terms of a CMBS loan and assisting in obtaining a replacement liquor license. Real estate counsel to Bank of America in connection with financings totaling more than a billion dollars, including construction loans, bridge loans, term loans, lines of credit and letter of credit facilities. Represented investors in connection with the acquisition of national branded hotel located adjacent to Disneyland, including negotiating franchise agreement with national hotel brand, management agreement with national management company and the terms of a CMBS loan with national bank and assisting in obtaining replacement liquor license.